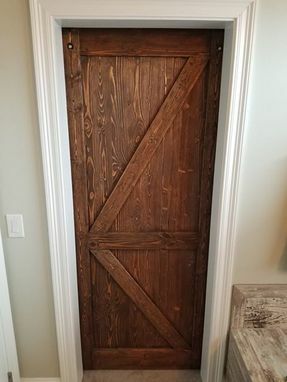 Custom created rustic barn door. 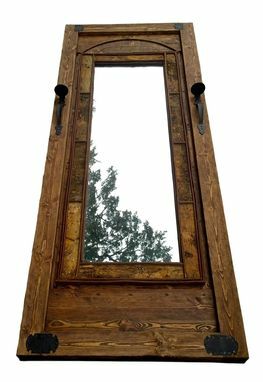 Customer ordered a door where we needed to attach his mirror. So we've created the rustic door. New wood - hand carved, decorative metal hand forged details. Handles with candle holders - everything handmade from new materials. All details are handmade. wooden nails are hand carved, too. A unique sketch was created especially for this door, as always for all artworks. This is the barn door - so pictures with the rolling system coming soon. I can create any door you want. With the mirror, without the mirror, etc. Price will depend on the size, details. Let me know what do you want and I'll create one fo a kind door for you!